The Boston Bruins did a nice job of bouncing back from a tough loss to halt the losing skid at three games with a plucky 2-1 road victory against the New York Islanders at the Barclays Center in a late afternoon game Sunday. Ryan Spooner and Patrice Bergeron tallied for Boston, while Tuukka Rask played his best game of the season in making 36 saves to preserve the two points in a game made interesting thanks to a late 5-on-3 goal by old friend Johnny Boychuk. The Bergeron line featured a tweak as Brad Marchand was moved down and Matt Beleskey brought up to play the left wing with Brett Connolly remaining over on the right. The BeBes- Bergeron and Beleskey- showed some okay chemistry together and generated some good moments up front. Beleskey plays with a lot of passion and energy, and on one memorable 2-on-1 in the third period, he made a superb pass over a sprawling Islanders defender and over to Bergeron who got his blade on it and put it on net, only to see Isles goaltender Jaroslav Halak in fine position to make the stop. Boston opened the scoring with a 5-on-3 power play goal to extend the consecutive games with a score on the man advantage to seven when Spooner ripped a one-timer into the net from a David Krejci feed. Bergeron had started the play when he took the puck and walked down the middle of the offensive zone between the circles to back the defense in before dishing to Krejci, who wasted little time in taking advantage of the added time and space to find Spooner all alone off to the side of the right post. It was Spooner’s third goal and ninth point of the season. 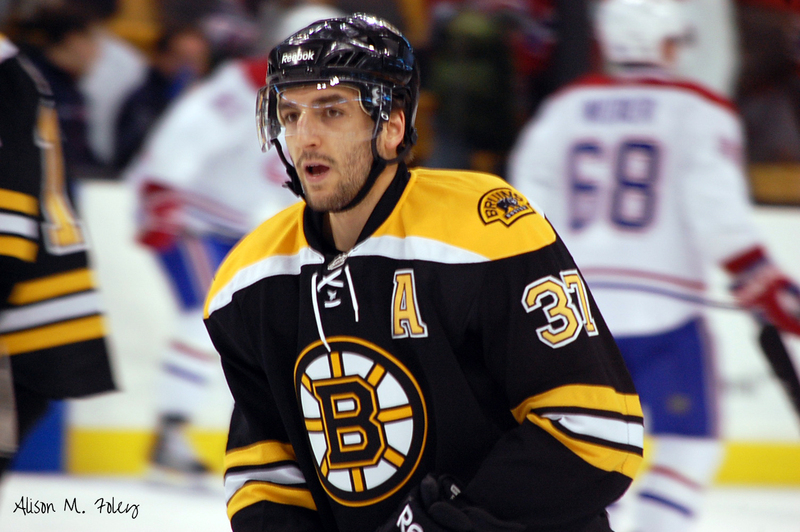 Bergeron made it a two-goal game in the second period when he put a shot to the front of the net that appeared to be deflected in by Marchand but was later changed to Boston’s assistant captain when reviews showed the puck hit Islanders defenseman Nick Leddy and changed direction past Halak. The story of the contest was Rask, who played the kind of shutdown game the B’s have come to expect from him. He did seem more active at times than he should have in leaving his crease to play the puck, but none of those adventures cost him. He gave up just the one goal to Boychuk late after Kevan Miller took a careless-looking high stick penalty to Casey Cizikas and then Joonas Kemppainen gloved the puck off of a face-off, giving the Islanders 1:47 of 5-on-3 play, that they took advantage when he launched a Johnny Rocket that clanged in off the post. It was the only power play out of seven chances the Islanders got, so the maligned penalty killing unit got a confidence boost, but a perfect game on the PK would have been even better. The Islanders launched a concerted attack late, but Rask stood his ground and the Boston forecheck made some nice plays in the neutral zone and Islanders end to prevent the home team from getting Halak out for the extra attacker earlier. The B’s did a nice job overall of containing Isles captain and superstar John Tavares from getting much going in this one. The B’s will get a few days of rest through Veteran’s Day before taking on the Colorado Avalanche Thursday night at the TD Garden. 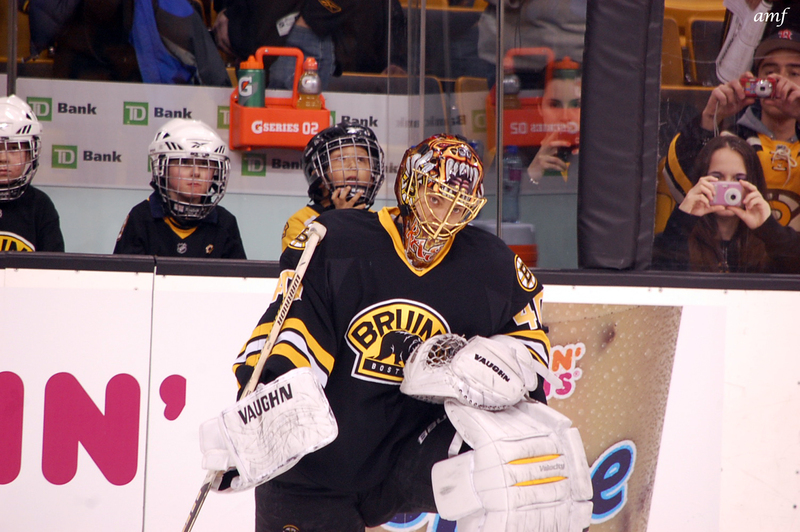 Tuukka Rask- Boston’s. No. 1 goaltender brought his A-game tonight and had no real chance on Boychuk’s howitzer of a shot. His glove save on Cal Clutterbuck during a shorthanded breakaway in the second period was a crucial stop that could have had a devastating impact on Boston’s psyche, but he effortlessly snagged it to keep it a 1-0 game. Rask made the defense look better than it was today, which is what you’re going to get with a player of his caliber in net. However, this team is simply not good enough to rely on Rask’s heroics as we have seen on other occasions throughout the first calendar month. Patrice Bergeron- It was an active game for him with a goal and an assist, seven shots on net, more than 21 minutes of ice time. He stepped up with he game-winner in the second period as Boston got a much-needed win, their first in seven days. 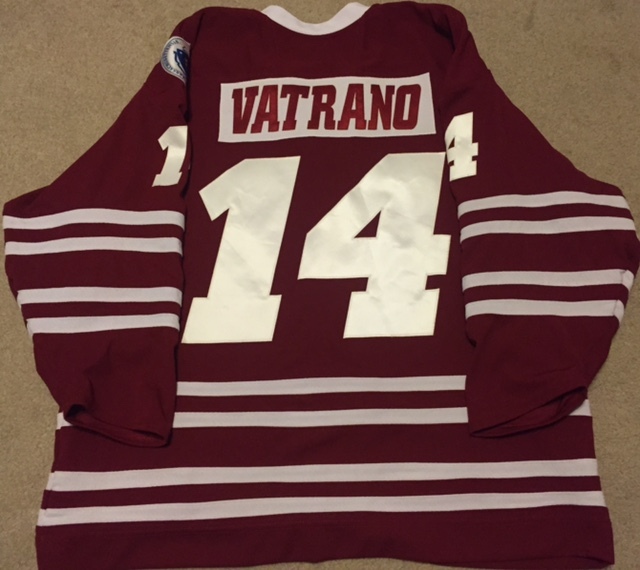 Frank Vatrano- For the second straight game, he impressed with his speed and hustle, pushing the offensive pace and getting some quality shots on the net. He didn’t find the twine, but he didn’t look like a kid in just his second career NHL game and showed some good stamina for playing the second of a back-to-back game. The adrenaline he’s feeling is no doubt still pumping in his veins after scoring in his first big league game Saturday night. Joonas Kemppainen- He blew it by taking the penalty late for handling the puck on the face-off, but made up for it with a solid game defensively and a game-saving defensive zone draw that he won cleanly after Beleskey was sent to the box for a slash with 1.7 seconds left. Thanks to Kemppainen or “Kemper” as he is called, the Isles didn’t even get a chance to get a shot off. 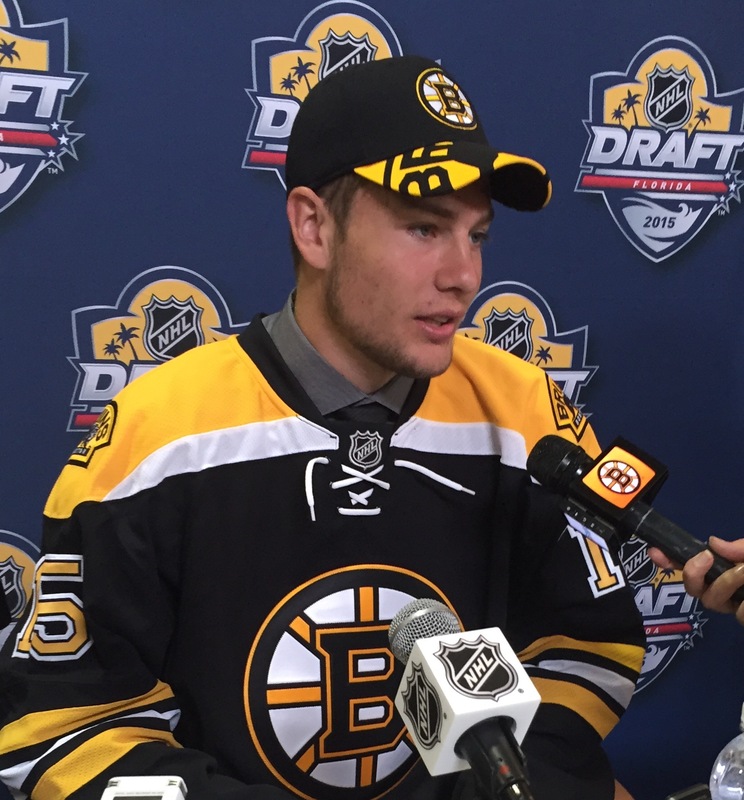 Ryan Spooner- The even strength play has been at times rocky, but when the B’s go up a man, Spooner’s high-end skill and creativity come out. His goal was a bang-bang play, but he did what scorers do well- get to the one spot on the ice where no one else is and bury the pass when it came to him. Even if his overall game and play has not been perfect, Spooner is producing points, so as long as he can keep doing that, the coaches will work with him on the little things. Johnny Boychuk- What more can I say? He is still missed and the reaction by the Islanders faithful when he scored brought back memories of how he used to bring the Garden crowd to their feet. Torey Krug- He played a season-low 16:25 and made one memorable gaffe that could have proven costly when he sent an errant pass while on the power play that resulted in Clutterbuck’s breakaway. He later took a needless cross-checking call against Clutterbuck in the third period, Boston’s fifth penalty of the day. Krug has been Boston’s best and most consistent defensemen all season, but this was not his night and it showed in the box score. Kevan Miller- You try not to pile on, but the free agent defender’s play has been more down than up. He struggles with handling pucks under pressure, does not have the mobility to win a lot of races to loose pucks, and took that sloppy, undisciplined highsticking penalty late in the contest which helped contribute to Boychuk’s power play goal. The Bruins have room for one or the other other Adam McQuaid or Miller, but employing both of them on a regular basis will prove costly. The good news in Boston on Columbus Day 2015: the Bruins scored 3 power play goals. The bad news: The Tampa Bay Lightning scored 6 goals (2 with the man advantage) and dominated the B’s at even strength to drop the home team to 0-3 for the 2015-16 season, with all three losses coming at the TD Garden. The B’s squandered a 2-0 lead in the first period in a 1:09 span late in the opening frame when the fourth line collapsed too deep in their own end and got caught puck watching (Torey Krug was also guilty of this) while former St. Sebastian’s and Boston College star Brian Boyle drifted to the front of the net, took a pass from the left boards and buried a high shot for his first ever goal against the Bruins. Boston then saw Patrice Bergeron take a goaltender interference penalty (the B’s would get whistled for three such infractions on Ben Bishop today and what do you know? The 6-5 goalie went down like he’d been shot with a machine-gun every time a guy in a black sweater made contact with him.) and Tampa evened up the game when Ondrej Palat heeled a pass that deflected through Tuukka Rask’s five-hole. Just like that, all of the hard work and two goals worth of offense compliments of David Krejci and Loui Eriksson evaporated. Boyle took full advantage of a David Pastrnak miscue while Boston was on the power play in the second frame, intercepting an ill-advised (this is the second time in as many games I have used those words to describe a Pastrnak decision) pass to the middle of the ice out by the Tampa blue line. Boyle took off then gave Pastrnak a stiff-arm to knock him back, going in alone on Rask, sliding the puck again through the five-hole to make it 3-2. Eriksson and the Bruins battled back to tie it at 3-3 with his second power play goal of the game, redirecting a Krejci shot (he finished with a goal and two assists, Krug had three points- all assists- as well) into the net and giving the building life. It was short-lived, however- as Bergeron took another penalty (hooking) and then while Boston was on the PK, the Bolts’ Tyler Johnson got away with an interference play of his own to prevent Chris Kelly from clearing the puck. As a result Tampa held the zone, allowing Steven Stamkos to get open and bury a shot for the 4-3 lead and his 500th career NHL point (500s are wild in Boston- Tomas Plekanec reached the same milestone on Saturday). Boston needed a strong final 20 minutes to come back, especially improving their 5-on-5 play, but didn’t get it. Rask gave up a soft goal to Jonathan Drouin on an off-speed shot that a sliding Boston D got a piece of, and then Valtteri Filppula closed out the scoring with a shot he directed in off his skate. After review, the goal was upheld and the Lighting left town with 6 goals, the second club in three tries this season to do it. We knew that this Bruins team wasn’t going to be all that good, but they’ve not gotten much puck luck thus far, and more calls have gone against them than in favor. You don’t want to make excuses, though- the defense, which did benefit from having captain Zdeno Chara back, is too young and unproven at this stage, and the Boston offense does not have the horses to provide consistent scoring. In net, Rask has been mediocre thus far, which, in a nutshell, accounts for 16 goals allowed and the 0-3 start, the equaling the 1999-00 Boston Bruins, a non-playoff club. Instead of doing 3 up/3 down, I’m just going to switch to up/down, because I don’t want to force things that are not there. More guys probably deserved down grades than up today, but to be quite honest- Tampa Bay is one of the top teams in the league and the Bruins did some good things today, especially in the first 40 minutes. I particularly liked some of the pressure they put on Tampa in their own end, disrupting their breakouts and not letting the Lightning generate much speed in the neutral zone. Unfortunately, the wheels came off in the final period and Boston couldn’t sustain that. Loui Eriksson- He pounced on a Krug pass just outside the right post for his 1st goal of the season (he had one wiped out against Saturday night, I would add), then got his stick on a Krejci shot in the second period to tie the game at three goals apiece. He’s a smart player who works hard around the net and deserves more credit than he gets from rank and file Boston fans. Unfortunately, as a 30-year-old impending free agent, he’s far more likely to be traded at some point this season where he can help a playoff-bound club than to finish out his time as a Bruin. 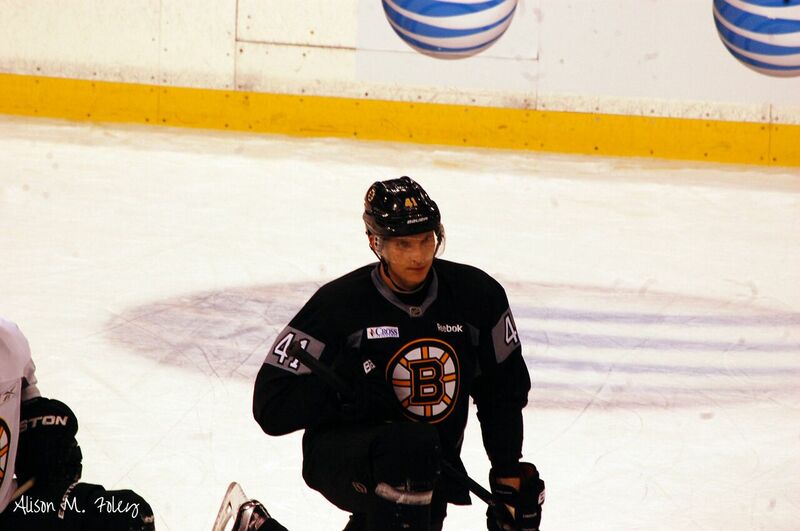 David Krejci- He started the scoring with his second goal in three games, then assisted on both of Ericsson’s tallies. He won face-offs and provided an offensive spark. His day was not without mistakes- he coughed the puck up a few times, got hit with one of the Bishop interference calls (Bishop sold it pretty well) and overskated the play that resulted in Tampa’s final goal. On another tough day for a loss, it’s hard to find positives. Torey Krug- With three assists and nearly 24 minutes, Krug has been Boston’s most consistent defenseman in the first trio of contests. 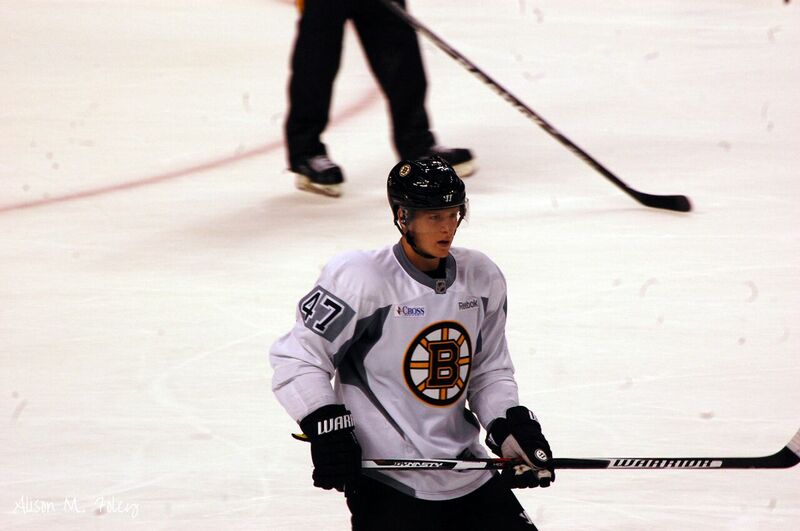 Like Krejci, however, Krug’s day was not without its warts. He was out of position and did not pick up Boyle on his first goal to cut Boston’s lead to 2-1, focusing on the puck instead of his surroundings. But, when it comes to handling the puck and starting the breakouts from his own end, nobody is doing it better than the third-year player. Tuukka Rask- Yes, his team isn’t very good. Yes, some of the goals today were not his fault. But, there are times when a team simply needs their goaltender to make the basic stops to keep them on top or get them back in it, Rask was AWOL today. With the money he’s making, the Bruins deserved a much better performance than they got from the moody and often times mercurial personality. 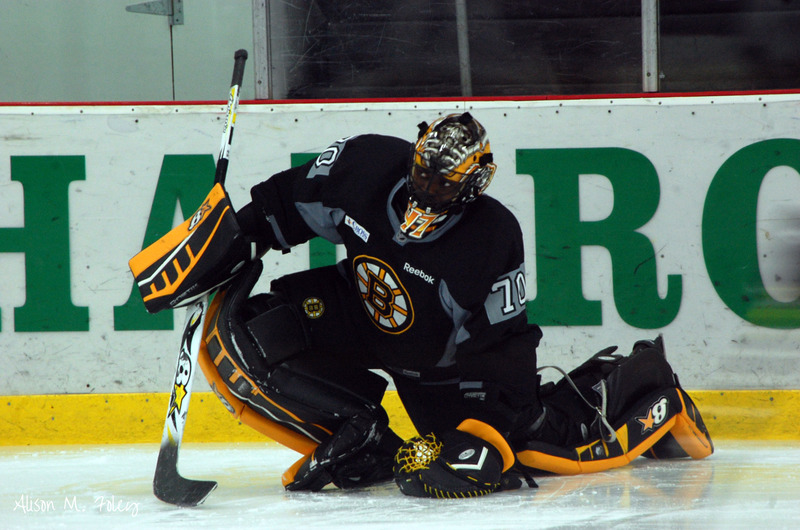 It will be interesting to see if Rask digs in and dedicates himself to being better or his attitude worsens. The Bruins cannot afford any petulance from the one guy they’ll depend on the most to steal them some games this season. I’ll be honest- I am not a fan of the people out there who never seem to think the goaltender should be accountable for anything. It’s always a defensive breakdown or a forward who didn’t get back or some other excuse. I think after a day like today- if that’s what you’re bringing to the table in a debate about Rask’s performance, then you probably need to take a step back and reevaluate your knowledge of the game of hockey. At some point- there’s a certain level of performance from the guy between the pipes that everyone should expect and demand, regardless of agendas. Rask fell short today. But, he’ll get plenty of other opportunities to shine this season, and when he does- I’ll be the first in line to give him credit, because that’s how this should work. Today, however, he let his team down when they needed him to be just above average. Joonas Kemppainen- You can tell the guy is mature and a smart hockey player, but he seems to be gripping the stick pretty tight and playing not to lose. Like everyone on that bottom unit and defense that got burned on Boyle’s first goal, he was nowhere near in position to defend, and as the center, Boyle was his man. He’s new to North America and still getting acclimated, but the B’s need him to play better going forward after a shaky first game against Winnipeg. David Pastrnak- His play in the second period was a costly one and he did not have a great game overall. He is easily one of the most talented players on the ice on either team in the three losses, but the B’s are going to have to live with the mistakes he will make out of a desire to try and make too much happen. Claude Julien’s challenge will be to take the good with the bad and protect the kid’s confidence by not crushing him when the mistakes occur. The Bruins are better off with Pastrnak trying too hard to make something happen than doing too little for fear of getting stapled to the bench. Patrice Bergeron- He had an assist and was strong in the face-off dot as he normally is, but with the Bruins up 2-1 after Boyle’s strike he went into the crease and made contact with Bishop, opening the door for Tampa to tie it. He was far from the only culprit today, but a second penalty he took proved to be the winning goal against. Jimmy Hayes- Three games and not a whole heck of a lot to talk about from the Dorchester native. You can see that he wants to be engaged out there, but his lack of speed hurts him on a line with someone as fast as Ryan Spooner is. The coaches perhaps need to look a little closer at what Hayes does well and figure out how to get him more involved. Without a strong puck possession game, he’s going to have his hands full in terms of keeping up with the play. Next game- the Colorado Avalanche. Not exactly world-beaters, but with the B’s reeling and on the road in Denver, it’s going to be a tough matchup for them. The Bruins are dead last at 0-3 and have given up the most goals in the process. It’s probably going to get a good deal worse before it gets better, folks. There are some things to be positive about, but the Bruins on the whole simply do not have the talent to stay with the big dogs in this league, and we’ve seen it with them going 0-3 agains three playoff teams from last spring. It’s a tough pill to swallow given where the B’s were just back in 2013, but they are where they are right now, and it looks like the team will need to sell off more veteran parts in order to commit to a true rebuild. Trying not to be overly pessimistic here, but this club just does not seem to have it, and it’s hard to envision them suddenly turning things around based on what we’ve seen in the early going. Growing pains time, as the kids like Pastrnak and Colin Miller are going to have their ups and downs but ultimately will be some of the faces this team looks to in the future. That’s of little comfort in early October, but just calling it as I see it.